We’re addicted to this game called C.A.T.S., also known as Crash Arena Turbo Stars. We’ve been trying out all sorts of techniques, tips, and tricks to see what will get us (and keep us) at the number one spot in this addictive mobile game. If you’re looking for a few ways you can improve and eventually annihilate the competition then try some of these pointers on for size. We promise that you'll make some great progress. Move up the ranks in your league with win streaks. Quick Fights in C.A.T.S. are where you go to test your current battle car build against other players. Each time you win, you’ll earn another notch in your current win streak. Once you win 3 times in a row, you’ll get a regular supply box. The trick to Quick Fights is that you want to get the best win streak possible because this will increase the amount of blue cat points you have. The more of those points you earn, the higher your rank will be in whichever league you currently reside in. It's not just about getting to first place in C.A.T.S. but staying there. Championships are the big leagues in Crash Arena Turbo Stars. This is where it gets real competitive and if you want to get first place then you’ll have to know how to build the best car around. Here are a few tips to take into consideration when working your way up the ranks. First build a solid car that can earn good kill streaks in Quick Fights. If your car can beat other players in Quick fights back to back at least 8-10 times then you’re ready to enter it into a championship. 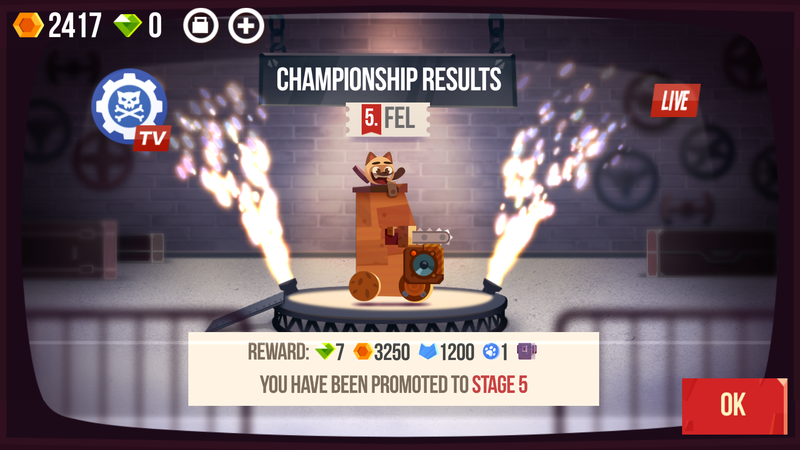 If you’re battle car is prestige and you win 14 times in a championship, you’ll be automatically promoted. If not, then make a few mental notes about who you lost to and why. Is it low HP? Low attack power? Poor defense? All three? Upgrade areas of weakness in your car. This doesn’t necessarily mean a total revamp (unless you want to) but if you noticed that your car was an inch away from losing a fight, then it’s not as great as you might think. The key to this game is to constantly improve. 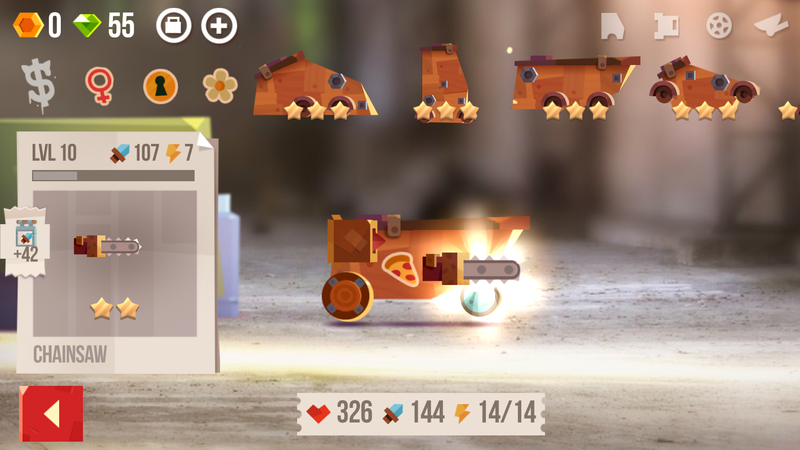 To win in C.A.T.S., upgrade your parts. Last but certainly not least, the ultimate tip or trick you can have up your sleeve when it comes to Crash Arena Turbo Stars is upgrading your parts. We’re not talking about just dragging and dropping everything within your reach onto a part you think is great. This takes careful planning if you want to do it right. If you have a weapon that works well for you, upgrade that weapon using higher levels of that same weapon you’ll get from supply crates or sponsors. This will ensure that the amount of power it uses remains low but the damage it inflicts can continue to grow. Use this same technique with wheels and accessories. When you start to do this, you’ll quickly realize that you need lots of in-game currency to do just about anything. 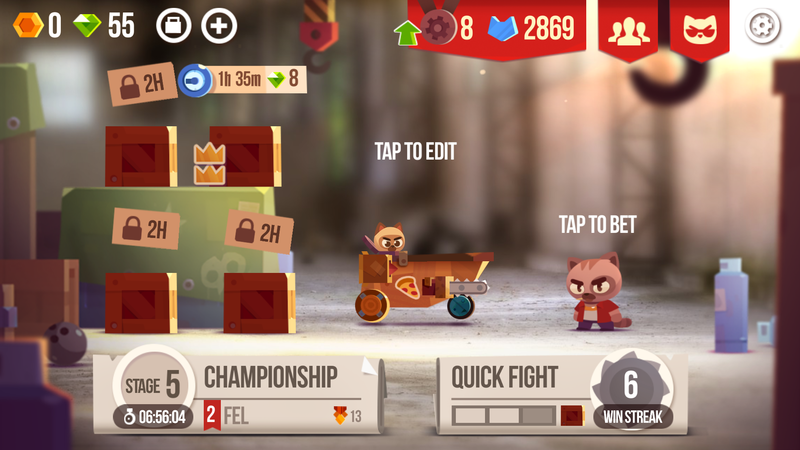 Make sure you’re familiar with the techniques on how to earn coins and gems in C.A.T.S. so you don’t end up broke with a losing battle car. We hope these helpful tips and tricks for Crash Arena Turbo Stars work for you and if it did, make sure to check out some of our other guides on mobile games.